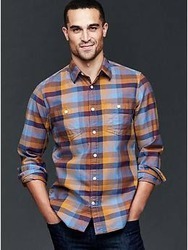 Dare to challenge the conventional with our pioneer range of designer shirts. Explore a maze of next-gen designs coupled with profound color combinations. An attractive White Smart casual Full Sleeves Shirt styled with Blue. The inside Button Placket and the Collar inner band is in Blue. The Button thread is in Blue and the same blue piping is decorated in the middle of Collar and Cuffs. 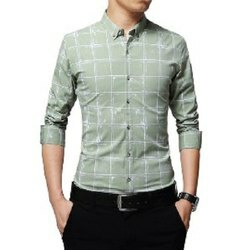 Keeping in mind ever-evolving requirements of our respected clients, we are providing a premium quality range of Men's Check Casual Wear Shirt.